hard drive explained by professional data recovery service provider. How to Claim a replacement of your hard drive during data recovery? Whenever you lose your data from hard drive, the very first thing which goes through your mind is contacting the manufacturer and registering your complaint for hard drive not responding. Your priority may be getting the faulty hard drive replaced and to claim for a new hard drive as replacement; or maybe you want them to restore the data and give you a new hard drive. In either case you are looking for a replacement of hard drive from manufacturer. If your claims are justified and if your drive is in warranty period, you might get a replacement of faulty drive with new one. How to check the warranty of your hard drive? All leading hard drive manufacturers have online facility to check if your hard drive is in warranty period or not; and is eligible for replacement or not. Click on the Brand logo to verify the eligibility of your hard drive warranty. Hard Disk Drive warranty period? Most of the hard drive manufacturer offers 2 to 5 years of warranty period. For consumer drives (PC, Laptop, Desktop, External Hard Drives) most of the brands provide 2 years warranty; and for corporate drives like server drives, NAS drives most of the manufacturer offers 3 to 5 years warranty period. You can get this information from your hard drive manufacturer when you buy a new hard drive. Most of the hard drive manufacturer don't do data recovery. They will only provide you a replacement of hard drive if your drive is in warranty period. If you contact hard drive manufacturer for data recovery, they will inform you to get your data recovered first and then send your hard drive for replacement. In very first step, you need to contact hard drive manufacturer and take approval for data recovery in writing or on email. You have to log a case with respective HDD manufacturer, for replacement and request time for recovering data from your faulty hard drive. By doing this your case gets registered for HDD replacement, also you will get time for data recovery. Many times HDD manufacturer inform customers about their standard conditions for performing data recovery on faulty hard drive from any professional service provider. You can take approval for data recovery in writing or on email. Click to check sample approval letter from manufacturer. Once your drive is submitted in data recovery center, our experts will inform you about possibility of data recovery from your hard drive. Also, if we need to open the drive or if data can be recovered without opening the drive. In case we need to open your hard drive, it may void the warranty of the hard drive. We take permission from the customer, if we can open the drive. Also information about voiding the warranty is shared with customer. After taking your consent via email we proceed for data recovery; we open the hard drive in our class 100 clean room lab, and perform data recovery operations. After successful data recovery and data verification, we hand over the recovered data and faulty hard drive to customer. We also share a certificate with the customer, informing that all data recovery operations have been done in a controlled environment, and there has been no further damage to the drive. Click to check sample certificate here. Finally customer need to submit their faulty drive and data recovery certificate to claim replacement of hard drive from manufacturer. Every hard drive manufacturer have their own parameters for replacing a hard drive in warranty period. You need to ensure that when you are sending your hard drive for replacement it should be properly packed and shipped. Read hard drive shipping instructions here. Cracked or broken portion on the corner of SATA connector. Cracked or broken portion of SATA connector. Non-permanent markings - Marking can be removed with ESD safe gum eraser. 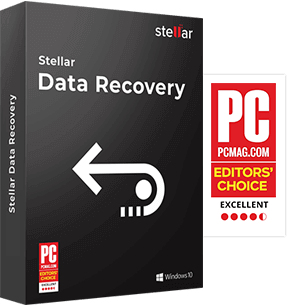 At Stellar we assist our customer in recovering their important data from faulty hard drives; however we don't do the replacement of hard drives. With Stellar you have best chance of getting your important data back. 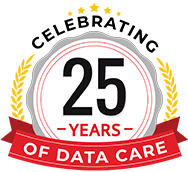 We have highest success rate in country in recovering data from all kind of data loss problems for all kind of hard drives. Feel free to call our Toll FREE no 1800-102-3232 in case you want to know more about data recovery from hard drive and replacement of your faulty hard drives.